First Nations peoples have long called for justice in the face of Australia’s discriminatory prison system –but with over 147 deaths in the last decade, these calls have clearly been ignored and rejected by successive governments. We need broad sweeping change, but an independent audit of the Royal Commission's recommendations is a crucial first step to hold the government accountable and prevent further deaths. Sign the petition calling for an independent audit to prevent further deaths in custody. Over this time the rates of Aboriginal and Torres Strait Islander incarceration has skyrocketed – making Aboriginal and Torres Strait Islander people one of the most incarcerated populations of people anywhere in the world. Peoples who make up less than 3% of the Australian population make up 27% of our prison population. We know that a person’s race does not make them more likely to commit a crime. It does however, affect how people are treated by our justice system. Experts have found that Aboriginal people are often incarcerated for minor offences and unfairly targeted under regimes like mandatory sentencing which is rolled out across many remote communities and areas with high Aboriginal populations. 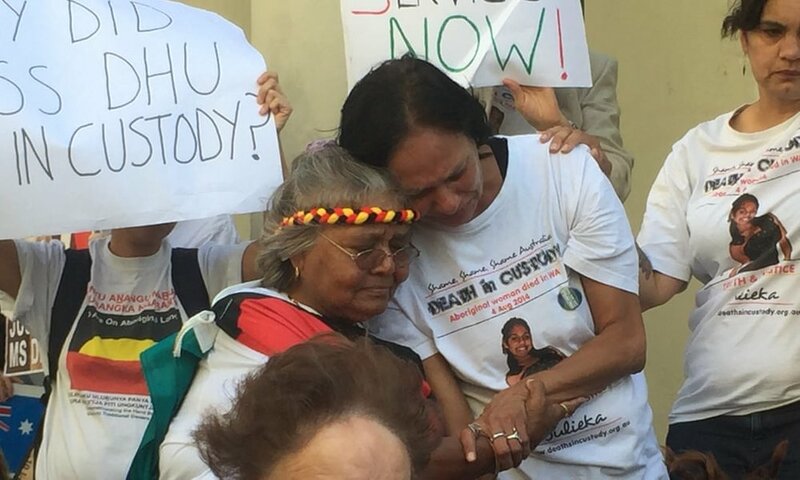 Victims' families, Indigenous Communities, Activists and Leaders have been calling for more than two decades for the recommendations of the Royal Commision to be implemented in order to stop deaths in custody. A vital first step is to demand an independent audit into the Royal Commission's recommendations to hold the government accountable and prevent further deaths ASAP. 'The 147 dead: terrible toll of Indigenous deaths in custody spurs calls for reform', The Guardian, 28 August 2018.